For the first 4-5 days (loading phase) mix one scoop with 8-10 oz of water or fruit juice and consume in the morning, midday, evening and before bed. After day 5 (maintenance phase) mix one scoop with 8-10 oz of water or fruit juice one to two times daily. 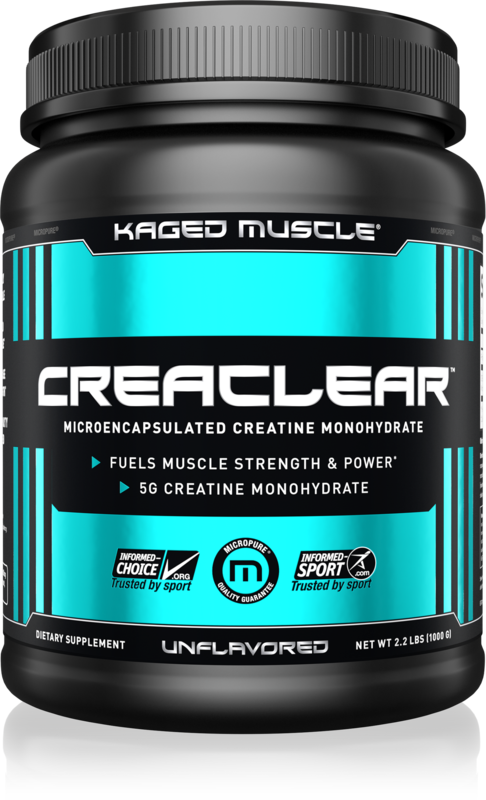 Apr 10, 2019 Giveaway: Win Kaged Muscle’s CreaClear Creatine! 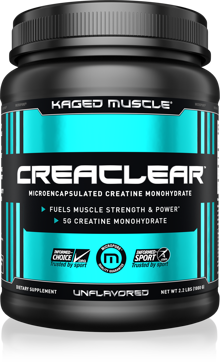 Kaged Muscle CreaClear is the biggest innovation for creatine monohydrate in a LONG time. It uses a patent-pending protein encapsulation to stabilize! One of the downfalls with regular creatine monohydrate is that it isn’t water soluble and doesn’t mix well once the powder is added to liquid: water or juice. Below you can see a side-by-side comparison of how CreaClear mixes 100% clear into solution within 1 minute while regular creatine monohydrate appears cloudy and starts to fall to the bottom of the beaker.